As dawn broke on February 19, 1945, US Marines began the largest, most important island campaign of the Pacific Theater. Download free full version pc game today, join these great men in their battle and lead them to the victory! Free Game Features: - Award-winning strategy game; - Modern 3D graphics; - Extraordinarily addictive game play; - Unique power-ups; - Gorgeous effects, huge explosions! - Original soundtrack and powerful sound effects; - Save / Load game option; - Game statistics; - Free full version game without any limitations. 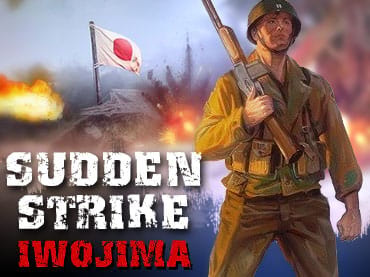 If you have questions about Sudden Strike Iwo Jima game, please contact us using this form.